San Diego is a melting pot of arts and culture, and we feel pretty lucky to be home to the San Diego Asian Film Festival, the largest exhibition of Asian cinema on the West Coast. The festival features 140 films and programs from 21 countries at nine different venues across San Diego County. With so many exciting film premieres and events for 10 days, you may not know where to start. Luckily, we have you covered with our top 5 programs to check out at the 15th San Diego Asian Film Festival (SDAFF), November 6-15, 2014. This year’s opening night film is the Martin Scorsese-produced “Revenge of the Green Dragons,” starring Justin Chon (Twilight, 21 and Over), Ray Liotta (Goodfellas, Sin City, Hannibal), and Harry Shum Jr. (Glee). This gritty action packed crime drama is not for the faint-hearted as it tells the true story of two brothers who are pulled into the world of organized crime with a New York Chinatown gang in the 1980s. Co-directors Andrew Lau (Infernal Affairs) and Andrew Loo and stars Leonard Wu, Harry Shum Jr., and Eugenia Yuan (Crouching Tiger, Hidden Dragon 2) will attend the premiere and post-film Q&A. Get your cameras ready! 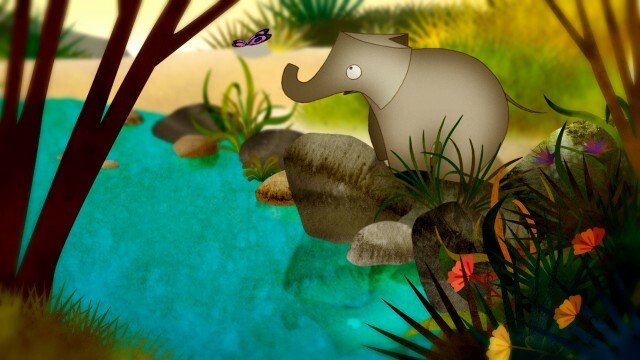 Bring the whole family for SDAFF’s family friendly programming including “Shorts for Shorties,” animated and live-action short films for kids; “Reel Voices,” the film premieres for Pacific Arts Movement’s student documentary filmmaker program, and “Hello! Junichi,” the West Coast Premiere of a group of kids who start their own rock band in Japan. 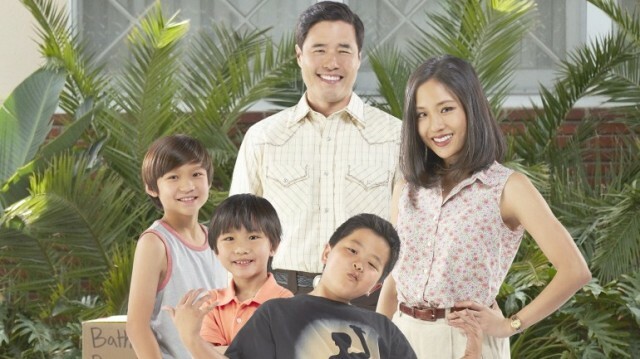 ABC’s “Fresh Off the Boat” is the first Asian American sitcom on a major network in 20 years, and SDAFF has the world premiere. Based on the memoir of celebrity chef and TV personality Eddie Huang, “Fresh Off the Boat” is a fresh and quick-witted sitcom about an Asian American family from Washington, DC that relocates to Orlando, Florida in the 1990’s. The world premiere will have a special post-screening Q&A with executive producers, Nahnatchka Khan and Melvin Mar. For the first time ever, SDAFF is hosting a contemporary dance event offering two shows of live, original hip hop and urban dance performances with dynamic video works by emerging dance filmmakers. Among the guest performers is Galen Hooks, who choreographed for Usher, Rihanna, Brittany Spears, and Justin Bieber. This year’s MOVEfest is dedicated to the resilient people of the Philippines on this one-year anniversary of Typhoon Haiyan. 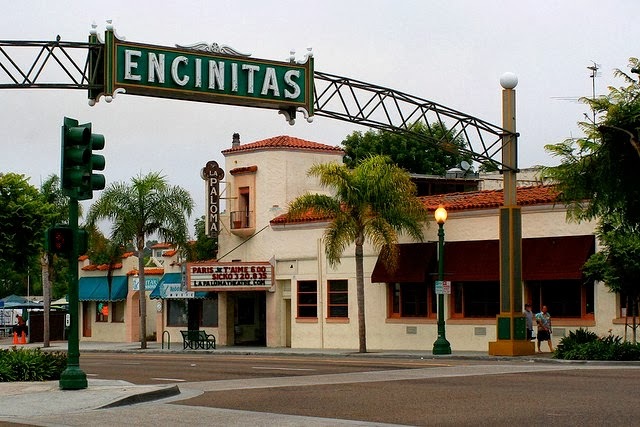 San Diego Asian Film Festival will host screenings all day at the historic La Paloma Theatre in Encinitas. This beautiful movie theatre is a historical landmark that opened its doors for the first time in 1928. North County visitors can enjoy the beauty of the theatre along with contemporary Asian films, including “Yasmine,” the first feature film ever produced in the nation of Brunei. The San Diego Asian Film Festival is presented by Pacific Arts Movement, of the largest media arts organizations in North America that focuses on Asian American and Asian international cinema. Pac-Arts programs include the annual San Diego Asian Film Festival, Spring Showcase, and Reel Voices. Checking out street festivals when you travel to a new city provides real insight on the town, the people, and the local culture. From downtown San Diego, take the family on a scenic Coaster ride headed north to discover why the nation’s largest single day street fair takes place in this beautiful seaside community. Local chef Chad White from Plancha Baja Med takes over downtown’s Frauds & Swindlers cocktail lounge for an evening of delectable cuisine and libations. 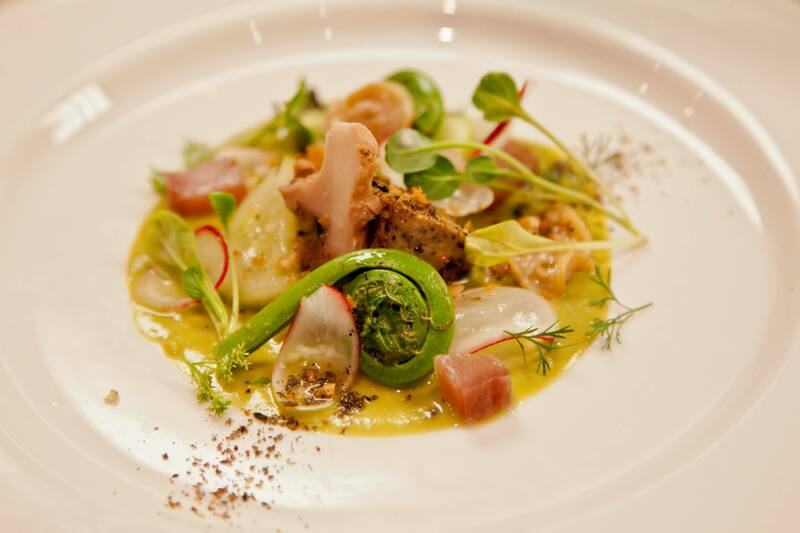 The “black & white” themed menu features creative dishes like oyster-coconut cream soup and ash-cured pork belly. The evening also features a costume contest, live music and dancing into the wee hours. If modern horror films with all the blood and guts aren’t your thing, check out The Teeny-Tiny Pit Orchestra’s presentation of Horror on Halloween. The event features scary silent films paired with live music and sounds. 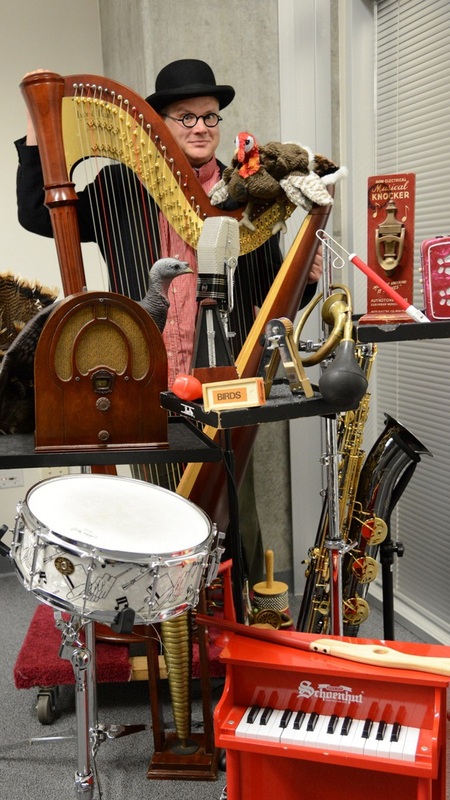 Audience participation in creating the creepy film scores is encouraged (have you ever tried to play a Theremin?). 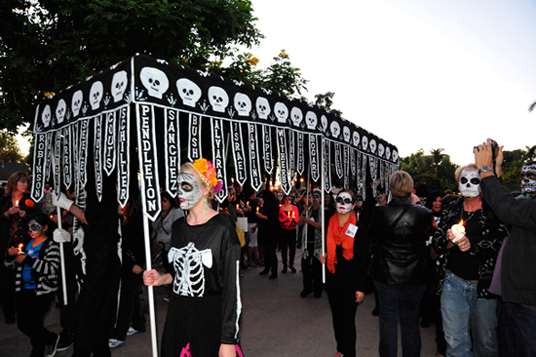 As a part of the Old Town San Diego’s Día de los Muertos celebration, Fiesta de Reyes and Old Town San Diego State Historic Park will celebrate the Day of the Dead with live music, folklorico dancing, face painting, crafts for children and a tour of more than 15 altars on Nov. 1 to 3. Visitors won’t be disappointed by the extensive Day of the Dead display at Fiesta de Reyes and the special-themed menu at Casa de Reyes and Barra Barra Saloon. Time: 1:00 – 9:00 p.m. 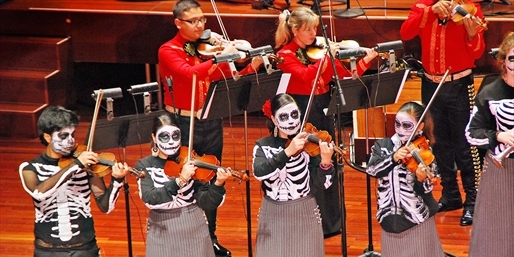 The San Diego Symphony hosts an evening honoring the music of some of Mexico’s most beloved singers and composers during a celebration of Día de los Muertos, Mexico’s colorful and magical tradition. San Diego favorite Mónica Ábrego, Metropolitan opera veteran José Luis Duval and one of the most famous mariachi musicians in the world, Rafael Palomar take the stage to perform passionate and exciting music. With world-class singers and world-class mariachi, don’t miss this classic take on a cross border tradition. Held in a spooky former church, Technomania Circus presents ‘Dia de los Zombies’ on Friday and Saturday Nov. 1 & 2. Seek shelter from wandering zombies on the Day of the Dead in this spooky ex-church and be amused by circus performers of the live and undead variety while you await your inevitable fate. During the San Diego Film Festival, it might be easy to mistake San Diego for Hollywood thanks to all the celebrities that come to town. Legends like Gus Van Sant to William Shatner have made appearances in years past. This year, you’re guaranteed to see Judd Apatow hanging around when he’s honored with the Visionary Filmmaker award on October 3. 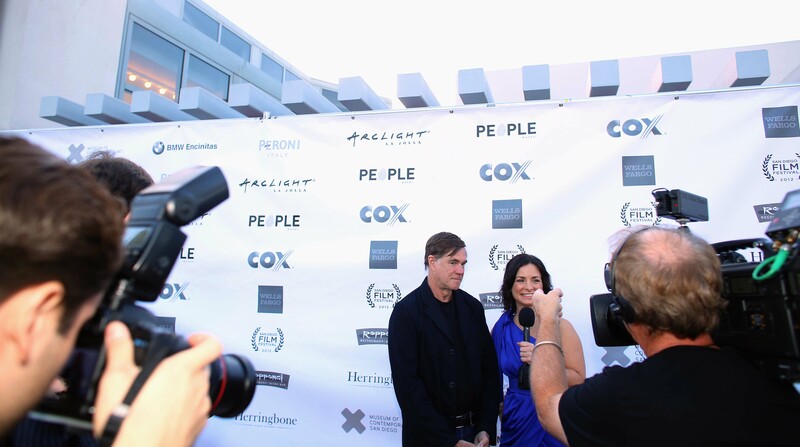 From the stylish Filmmaker Bash honoring the festival winners to the raucous Almost Famous party featuring burlesque performances by the San Diego Dolls, the San Diego Film Festival proves that celebrating film doesn’t have to only take place sitting in a theater. Families looking for a unique experience to share with their kids will find want to check out Grave Secrets, a feature film adaptation of Deadtime Stories, a children’s horror fiction series similar to the Goosebumps series. Pre-sale passes start at $60 and range up to $350 for VIP passes, but those in the know can snag some deep discounts: students can receive up to 50 percent off with a valid ID. Not a student? Be sure to follow @SDFilmFestival on Twitter for more ways to score 50 percent off. 100 films from 55 countries spanning genres like Native American Voices, Action Sports, Family Friendly, Music and Horror…do you really need any other reason to check out the San Diego Film Festival than that? 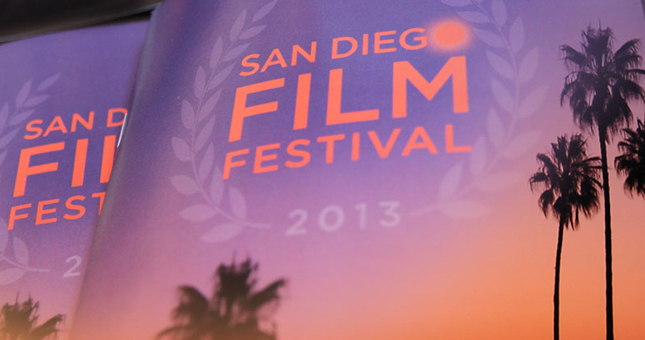 What do you love most about the San Diego Film Festival? What are you excited to see? Tell us in the comments below. 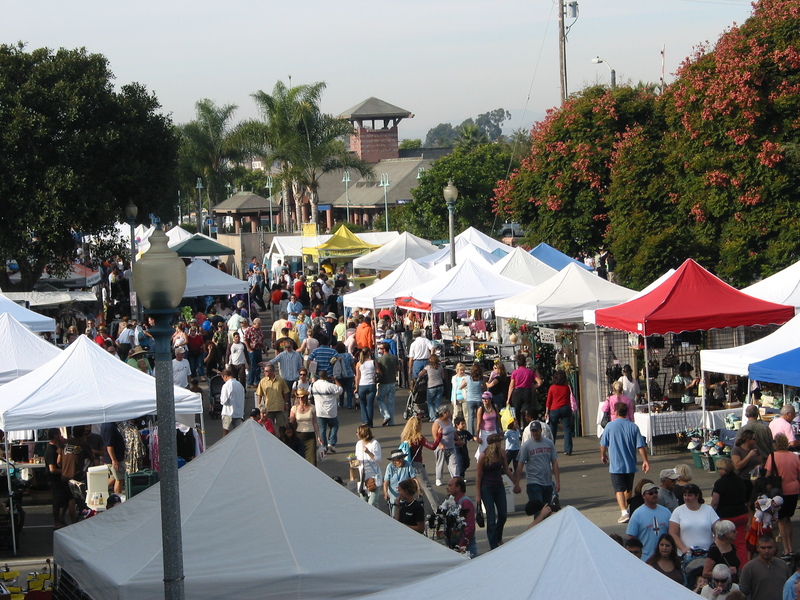 The longer days means more time to enjoy all the delights of the San Diego County Fair, including plenty of food (try the Krispy Kreme Sloppy Joe), rides, concerts, a bacon festival, a beer festival and more. This year, the fair will spotlight classic and nostalgic games and show how these have evolved over the years. Escape to the Greek Isles without ever leaving San Diego. 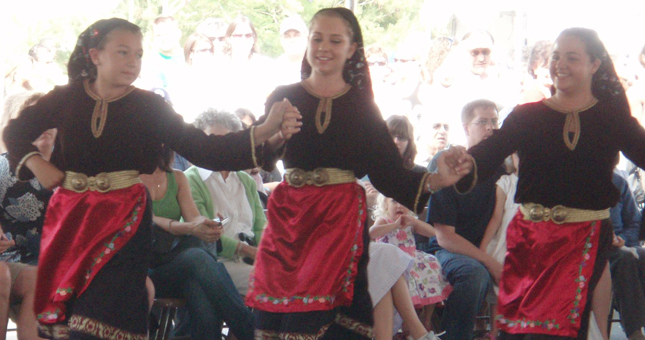 The St. Spyridon Greek Orthodox Church community invites you to share in their heritage, culture, music, traditions, customs and culinary skills. Cost: Free. $3 donation after 1:00 PM on Saturday and Sunday. 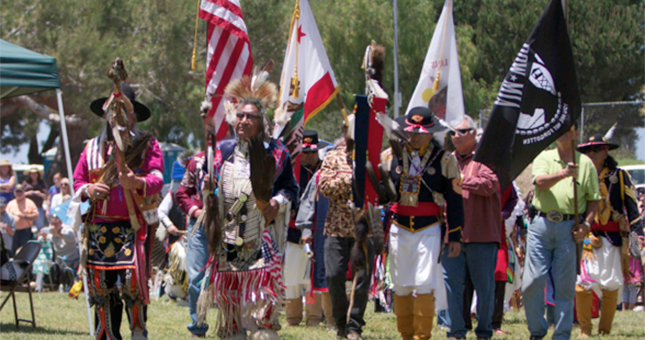 Join the San Luis Rey Band of Luiseño Mission Indians for the 17th annual Inter-Tribal Powwow with arts and craft booths, food, dancers, drums, an opportunity drawing and dancing contest. You had me at sunsets and a winery! 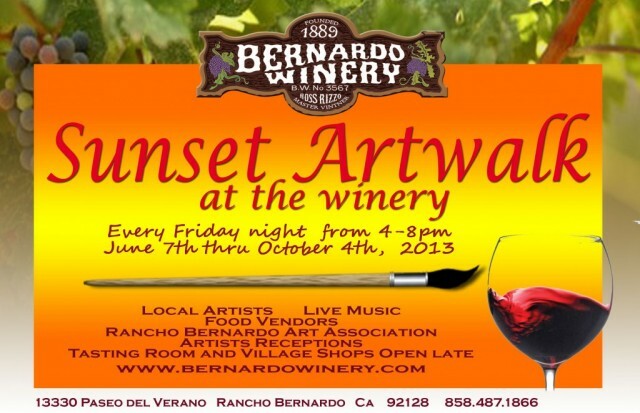 Starting this Friday, the Bernardo Winery will host a sunset artwalk with local artists on display, live music and plenty of food and wine. Savor the warm summer evenings with the family, popcorn and a good movie. 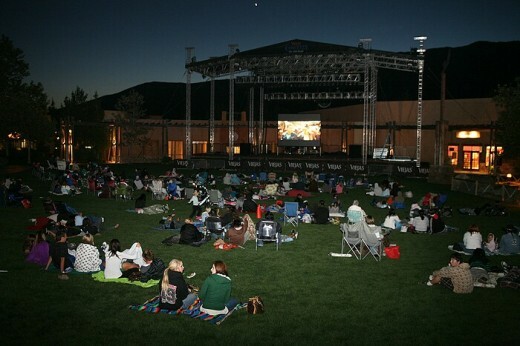 Who needs sticky floors and long ticket lines when the grass can be your seat and the stars your theater lighting? On Wednesday, June 5, grab a rug for The Big Lebowski during Stone Late Movies at the Stone Brewing World Bistro & Gardens in Escondido. This Saturday, June 8, Summer Movies in the Park will be showing Hotel Transylvania, Madagascar, Madagascar 3: Europe’s Most Wanted and The Sandlot at various parks throughout the county. Want to see some current releases? Hop in the car and drive over to one of San Diego’s classic drive-in movie theaters. Years before he was jumping on Oprah Winfrey’s white couch, Tom Cruise and his Hollywood good looks made movie history as Lieutenant Pete “Maverick” Mitchell in the 1986 action-packed classic, Top Gun (1986). Inspired by a magazine article that highlighted the TOPGUN fighter pilots at the Miramar Naval Air Station in San Diego, the self-nicknamed “Fightertown USA,” movie producers were intrigued by the fast-paced Navy pilot lifestyle in a laid-back Southern California beach town and set up shop in San Diego to film the blockbuster hit. Since 1888, the Hotel del Coronado has attracted numerous world dignitaries, Hollywood stars and the discriminating affluent with its unique red peaked roofs, stunning Victorian architecture and serene ocean vistas. But perhaps is most important role was its casting as the backdrop for the wildly popular film, Some Like it Hot (1959), featuring Marilyn Monroe,Tony Curtis and Jack Lemmon. Balboa Park is the largest urban cultural park in the United Sates with 15 museums, a Tony-award winning theatre, numerous gardens and much more. It has been nicknamed “The Smithsonian of the West” but it may be better known for its appearances in a number of movies, including Citizen Cane (1941), where the Spanish Colonial buildings served as Charles Kane’s (Orson Welles) mansion “Xanadu,” the appearance of the Museum of Man’s California Bell Tower in the film Almost Famous (2000), and the historic Organ Pavilion that was used to stage an explosion during the film Top Dog (1995), starring Chuck Norris. Downtown San Diego is ever evolving as new hotels, restaurants, nightclubs and retail shops open each year. A perfect location for shopping and dining by day, and the “hottest” destination by night. Who knew the downtown area would live up to its reputation when a controlled car explosion stunt took place in the middle of the downtown streets during the filming of Traffic (2000) starring Catherine Zeta Jones, Michael Douglas, and Benicio Del Toro; public safety agencies were present to make sure nothing got out of hand. In San Diego’s East County, a rugged landscape surrounds historic highways and provides scenic backdrops for colorful desert wildflowers and numerous outdoor recreational opportunities, but the deserted area has also starred in a handful of films. East County’s beautiful Anza-Borrego Desert State Park was featured in Into The Wild (2007) during a scene that took place while Chris McCandless (Emile Hirsch) road tripped to Alaska. Borrego Springs doubled as Mesopotamia 3000 B.C. in the Scorpion King (2007) and was also where the popular Sci-Fi TV series, The X-Files, came to an end during the filming of the series finale at the recreated Anazazi Village. With perpetual sun, swaying palms and sparkling surf, the funky neighborhood of Ocean Beach, is the epitome of Southern California beach culture. Producers of Almost Famous (2000) thought this beach town’s 1970s hippie attitude was the perfect location to film. Many locals wore their normal clothes and used their own vehicles as extras in the movie. Don’t forget: Anchorman 2 hits movie theaters later this year! Stay classy, San Diego. It’s July and that’s means downtown San Diego is full of Klingons, Stormtroopers, Zombies and more enjoying the 2012 San Diego Comic-Con International. Halt! 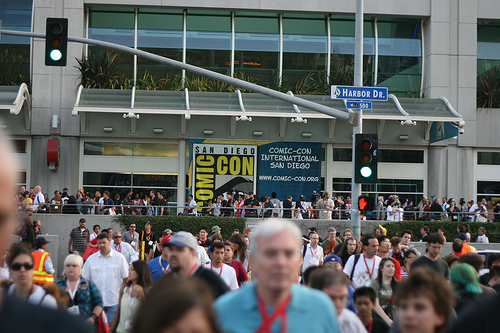 Where is your Comic-Con badge? Optimus Prime watches over the crowd making sure no Decepticons make it into the Con! Abraham Lincoln was around to take care of unruly Comic-Con attendees and Zombies! Heroes in a Half Shell…Turtle Power! After watching the Oscar awards last night, it got me thinking…what Oscar nominated films were shot in San Diego? Here are 5-to-Try films shot in San Diego. Do you know what part of town they were filmed in? 1. 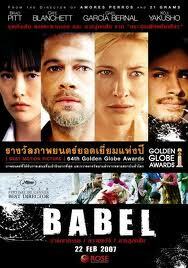 Babel (2006) Starring Brad Pitt and Cate Blanchett and nominated for seven Academy Awards, Babel tells the story involving four different families after tragedy strikes a married couple on vacation in the Moroccan desert. Scenes were shot in both San Diego and neighboring Mexico. 2. Almost Famous (2000) A high-school boy is given the chance to write a story for Rolling Stone Magazine about an up-and-coming rock band as he accompanies it on their concert tour. The film was nominated for four Academy Awards and won for Best Screenplay. Insider info: the producers found the 1970’s look and feel they needed in the community of Ocean Beach. Many of the extras were locals who wore their own clothes and drove their actual vehicles. The radio station in the film was actually an Allstate Insurance office. The two characters played by Patrick Fugit and Phillip Seymour Hoffman are seen walking up Cortez Hill and the scene cuts to the characters eating in the Sun Cafe, located in downtown San Diego. Nominated for five Academy Awards (and won four including Best Director) shows the underside of the drugworld after a conservative judge is appointed by the President to spearhead America’s escalating war against drugs, only to discover that his teenage daughter is an addict. Insider’s Tip: Scenes for the movie were shot in Balboa Park, La Jolla and Rancho Bernardo Inn among others. 4. Into the Wild (2007) Nominated for two Academy Awards, the film starring Emile Hirsch was shot mostly in Alaska, however the beautiful Anza-Borrego State Park in East County was used for a scene during his road trip to Alaska. Okay, this film wasn’t nominated for any awards, however, it’s hard to talk about movies shot in San Diego without mentioning this one. Insider info: the film was originally set to film in Portland, but after seeing shots of San Diego, they realized it would be the perfect backdrop for the 1970’s film. 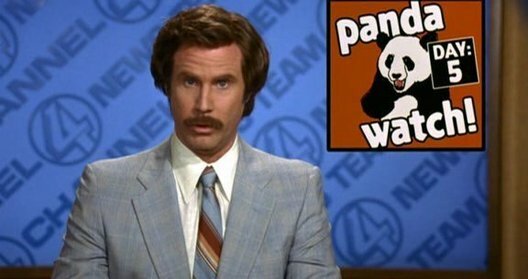 Feel free to leave favorite Ron Burgundy quote below…there are so many! Lights, Camera, Action – in Coronado! Marilyn Monroe on Coronado Beach during filming of "Some Like It Hot" (1958). I love the movies! From indie flicks to blockbusters (sci-fi! ), there’s magic in motion pictures and it’s one of my favorite weekend escapes. Coronado is no stranger to the silver screen. When folks think of movies in the “crown city,” glitzy Hollywood images of Marilyn Monroe basking on the beach by the Hotel del Coronado in “Some Like it Hot” usually come to mind. But a little known cinematic gem is getting ready for its close-up: the Village Theatre on Orange Avenue. Built in 1947 (coincidentally, the same year Marilyn starred in one of her earliest roles as Evie in the film “Dangerous Years”), the Village Theatre is a striking Art Deco-style, single-screen sensation – one of only three such movie houses in San Diego County (another being La Paloma in Encinitas where I have, admittedly, seen “Rocky Horror Picture Show” – sans costume). The theater has been closed since 2000 and is looking the worse for wear. However, an exciting sequel is in the works this winter… moviegoers are in for a treat bigger than a tub of buttered popcorn with Raisinets! A major renovation is underway by Five Star Theatres (best known for bringing back Hollywood’s El Capitan Theatre to its former glory) which will transform the historic site into a three-screen cinema, including a main auditorium with 200 seats and two rooms with 50 seats each. Cost: about $3 million. It’ll include a sparkling new façade – keeping its towering illuminated “Village” sign – a retro-modern Art Deco design throughout and a brand new ticket booth on the front sidewalk. Completion is slated for March 2010. Though it’ll retain that ol’ fashioned feel from yesteryear, complementing the classic charm of Coronado’s main street, Village Theatre has its sights set well into the future. Five Star plans to run the theater until 2026. Now that’s what I call a happy Hollywood ending! I’ll keep everyone posted with pics including, hopefully, an exclusive look at how things are progressing inside.